I have found a great magazine Rodales Organic Life. I was given the opportunity to review the Premier Issue of the magazine. I am excited to say I just ordered my two year subscription. I am a avid electronic reader - in fact I read about 90% online or on my tablet. 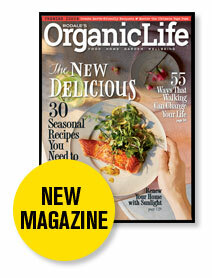 But there are a few things that I like to hold and read Organic Life is one of those magazines. It is a 6 issue a year magazine - I like that - it gives me two months to totally go through the magazine - check it out by giving each article my 100% attention. I also plan to save the publications and use them as reference tools. The best way I can describe Organic Life is that it reminds me of a organic version of National Geographic magazine. Quality articles with superb photos - extremely informative. Well worth the $24 for a two year subscription! FLOWER POWER ~ An in-depth look at the sustainable flower movement with beautiful spring bouquets raised in ways that support healthy ecosystems. WALKABOUT ~ An expansive feature that explores the art, history, and science of walking, including a list of 10 of the greatest walks, a smart walker's gear guide, and a diagram to help you find the best shoes for your walk. SALMON BAY ~ A first-person account of the yearly journey to catch wild sockeye salmon in Bristol Bay, Alaska, also featuring a buyer's guide to sustainable salmon; inspiring, delicious salmon recipes for Spring; and six easy sauces perfect for salmon. LET THERE BE LIGHT ~ A visual collection of dwelling places around the world, showing readers how to bring more natural light into their living space. MIXED GREEN ~ A comprehensive guide to the today's best homegrown lettuces, with accompanying photographs, strategies for planting and growing, and recipe recommendations. I especially enjoyed the Salmon Bay article and recipes. We love salmon and we are always looking at new and exciting ways to cook salmon. If you are organic or looking for ways to bring more organic living into your life Organic Life magazine is a excellent choice. Organic Life sounds great! I've been wanting to move to a more organic lifestyle, but I didn't know how. Thanks! I try to shop organic as much as possible. I sure didn't know there was a magazine on organic living! That's pretty cool! I LOVE magazines and I love to see that they have not died off yet. When one comes in the mail it's fun to go through all the crisp and colorful pages. This magazine looks like a great read. All of these articles sound very interesting. It sounds excellent, thanks for the recommendation! Sounds like a great magazine. I need to get better about reading labels and finding better solutions for meal planning. This looks like a great magazine. I think I should get my daughter a subscription! Sounds like an awesome magazine. I want to pick up a copy! This sounds like a magazine I would thoroughly enjoy. I'm really curious about the natural light article. That appeals to me and the fact that it's a 6 issue a year subscription. Like you said, that gives me plenty of time to really read it and not push it aside for the next one! Sounds like a great magazine. 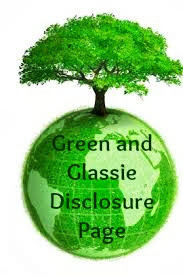 The Mixed Green article sounds of great interest to me. I love the idea of this magazine! I especially need to learn about planting flowers. I will check it out! You're right, there is just something about holding a physical magazine that e-zines just can't replace! I prefer paper magaiznes and books. how else are you going to rip out great ideas. Rodales has been around forever and the HQ is not too far from me. It's a very well-respected publisher and was way before its time with organic and sustainable gardening and agriculture. I wonder... do you think they would ship to Canada? This looks like a magazine I would really enjoy. I love gardening and I love organic products! This sounds like a spectacular one. I had given up on magazines cause I want fresh looks at stuff. May need to look at this. I don't often read too many magazines but this is one I would definitely like to take a look at! I always prefer 6 issues per year magazines. Otherwise, I never end up fully going through the magazine. I read Rodales a lot I had no idea they have a magazine. I'm another that MUST hold a magazine. I have not even been willing to TRY a digimagazine. I have never heard of this one. I also love to read magazines. There is something about them that is just great! I am trying to buy more organic products at the store and using better judgement about what I cook. I need to flip through this one and see what else I can learn! Sounds like a great mix of reading! I like that there are 6 issues a year. Sounds like good stuff. Great resource for those who are actively pursuing an organic lifestyle. I need to add more organic foods into my family's diet. I wish organic options didn't cost so much more though. Sounds like my kind of magazine. I'm looking for new ways to live organically and may just try this out. The magazine looks great! It would be a great way to learn more about eating organic! Oh, this sounds right up my alley. The Salmon Bay piece sounds awesome, I'll definitely have to look it up. What a great magazine! It sounds really interesting and I love that its every other month so plenty of time to read it!